My fiancé and I home brew beer. With a passion for craft brew and a skillset in design, it seemed fitting that I should design the labels for the various beers we create together. Each batch has a unique flavor and a story. It is my goal to capture those qualities when making each label. Once the beer is ready to bottle and sample, I work with my fiancé to determine the name and description for each beer. Then I create the label design around that idea. 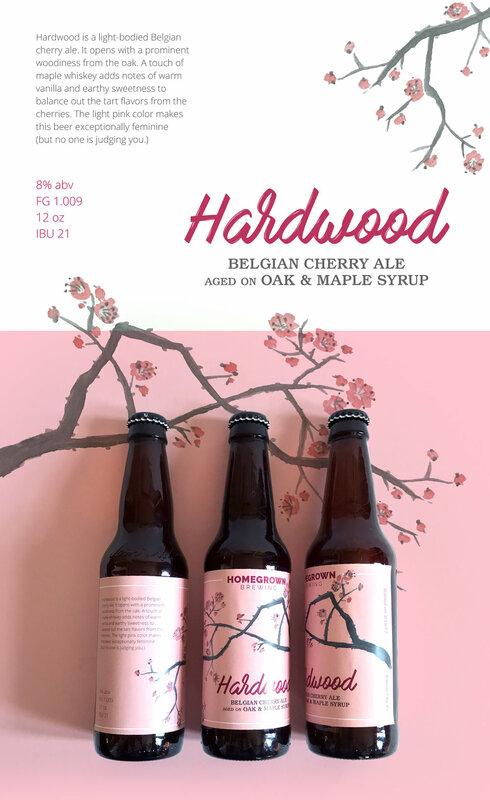 Typically, I like to have the focus to be on a hand-drawn or painted illustration and then I pair it with a typeface that speaks to the style of beer.